Hardcover, 9.5 x 12.5 in. / 256 pgs / 250 color / 32 bw. 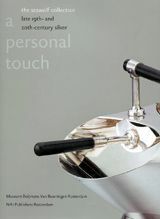 Essays by Mienke Simon Thomas, Eric Turner, Lynn Springer Roberts, Veena Duncker, Reinhard Sänger. Silver has been a cherished heirloom and gift for centuries. Historians claim that by 3100 B.C. ambassadors to the Egyptian king from Crete brought silver vases as gifts. Today, sterling silver is a favorite medium for creative and innovative designers because it is soft and malleable and can be shaped into any form. The mystical white metal has marked historical milestones throughout the ages, served as a medium of exchange and become an essential metal in today's world of high-tech consumer goods. Silver's main asset is the diversity of its uses. Its unique properties include beauty, strength, sensitivity to light, malleability and ductility, electrical and thermal conductivity, reflectivity and the ability to endure extreme temperature changes. These properties allow scientists and engineers around the world to undertake groundbreaking research that changes the way we live. This generously illustrated volume presents almost 200 beautiful and rare pieces of utilitarian silver from the art nouveau and art deco period, selected from a private silver collection. Both experts in silverware from this period and fans of art nouveau and art deco will be surprised by the number of splendid pieces from this collection. It brings together objects by various renowned silversmiths, including Christopher Dresser, Charles Robert Ashbee, Omar Ramsden and Alwin Carr, and Edward Spencer, Henry Wilson and Paul Cooper. American silversmiths include the Kalo Shop, the International Silver Company of Meriden, The Gorham Manufacturing Company and Howard Crisp. The color photographs of the objects are accompanied by extensive captions, monograms and hallmarks, providing substantial new information. 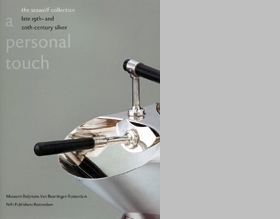 In addition, A Personal Touch includes essays by silver specialists: Eric Turner, of the Victoria & Albert Museum in London, examines reforms in the work of English silversmiths and describes the pieces in this collection that illustrate these developments. Lynn Springer Roberts, former curator at The Art Institute of Chicago, writes about American silverware from the early 20th century, and Reinhard S‚nger, of the Badisches Landesmuseum in Karlsruhe, focuses on continental silver, paying special attention to beautifully decorated cutlery. FORMAT: Hardcover, 9.5 x 12.5 in. / 256 pgs / 250 color / 32 b&w.